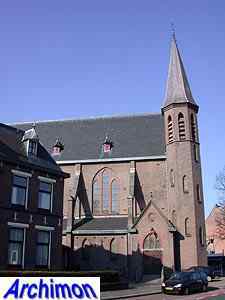 Oldenzaal has traditionally always been a catholic town. 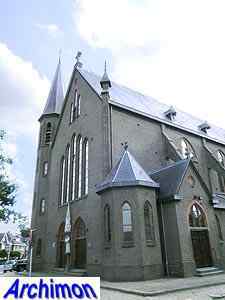 When the town expanded in c. 1900, the St. Plechelmus became too small and the decision was made to found a second parish. 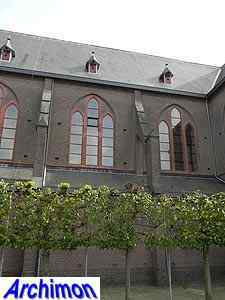 In 1908 a piece of land was bought in the southern part of the town, only some 500 meters from the St. Plechelmus. 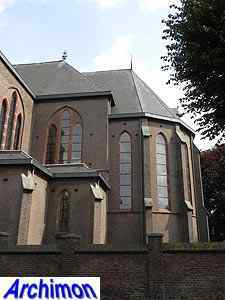 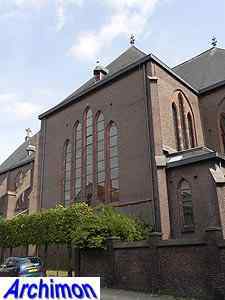 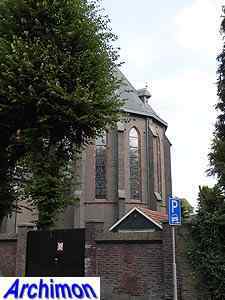 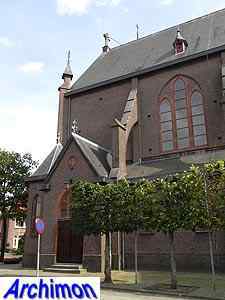 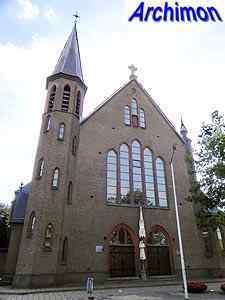 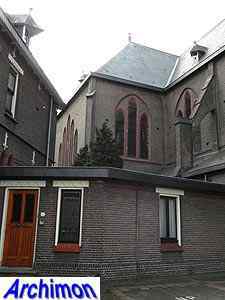 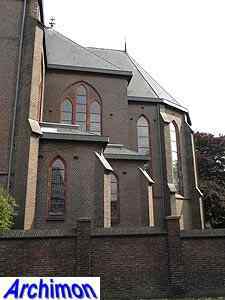 Here, Oldenzaal's second catholic church was built in 1911-1912. 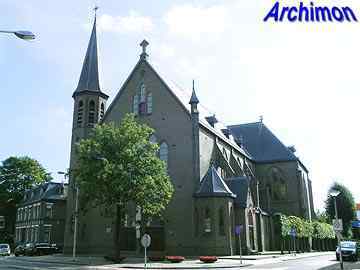 It's a three-aisled basilica in neo-Gothic style, designed by local architect K.L. 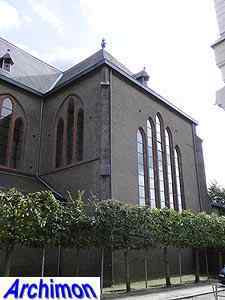 Croonen, a former intern of P.J.H. 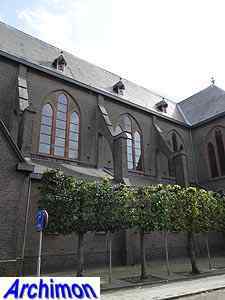 Cuypers. 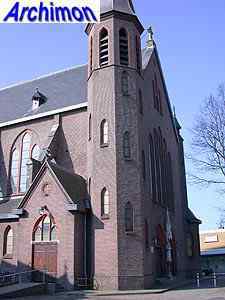 The church is not oriented and its facade is in the north-east. 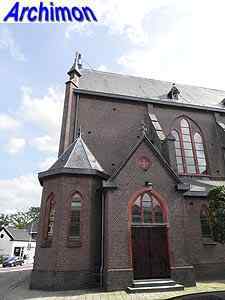 At its eastern side is a polygonal stair-turret. 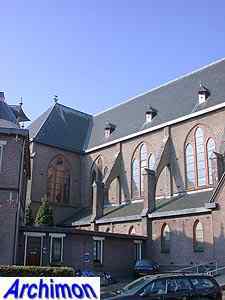 Remarkable is the high clerestorey, which contrasts with the low side-aisles.